Sheldon Cooper, "The Big Bang Theory's" socially awkward theoretical physicist, isn't an easy personality to pin down — just ask his long-suffering (but recently kissed!) gal pal Amy Farrah Fowler. 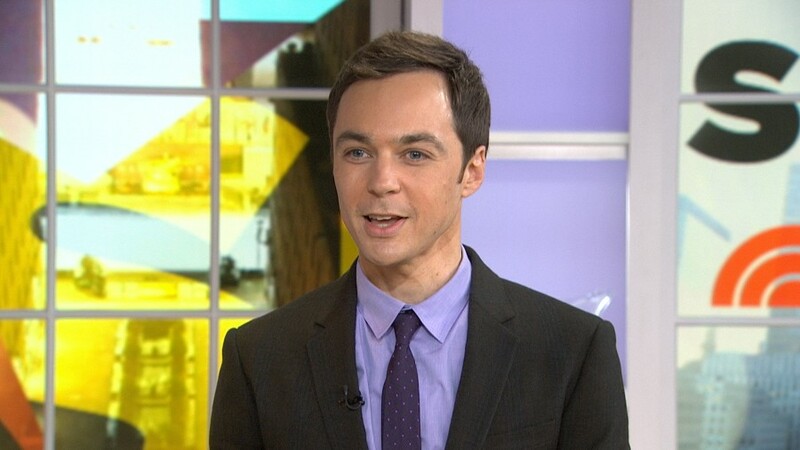 But for Jim Parsons, the man behind the character, Sheldon's not so tough for him. "It's surprisingly easy," Parsons, who stopped by TODAY Tuesday morning, said of playing the geeky character. "I think that the writing is really good, and I think that there's undeniably part of myself that understands what it is to feel outsidery. Probably everybody does. I think that's part of the reason the show's so successful. But if you're just willing to access that and tap into that, it's not hard at all to feel like 'no one understands me.'" But Parsosn might not find his next job — hosting "Saturday Night Live" — quite so simple. While glancing at a wall filled with photos of past hosts — featuring the biggest names in music, movies and more — he admitted, "It's rather intimidating." "It feels like I'm ruining the club that they created," he explained. "You know what I mean? You grow up going, 'That's some Hollywood royalty that gets to host that.' (But) apparently I was wrong, 'cause here I am." Humility aside, there's one aspect of the gig that he's not worried about at all — the live factor. "I love live (television)," Parsons insisted, adding that his pre-recorded performances on "Big Bang" are practically live. "We tape it live, and while you do get a chance to go over your mistakes there, should you make one, we are doing it live. And I love theater. I've done theater all my life. So this is ... not that it's like theater. It's different, but live is fun." Watch Parsons have fun on "SNL" March 1 at 11:30 p.m. on NBC. And see more of him on "The Big Bang Theory" Thursdays at 8 p.m. on CBS.